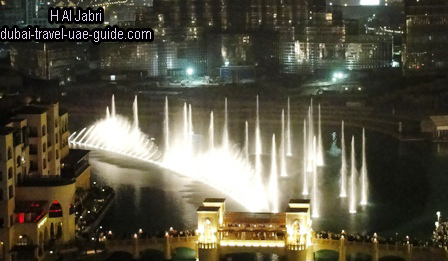 Dubai Fountain is the center piece of Downtown Burj Dubai located at the front of Burj Dubai. 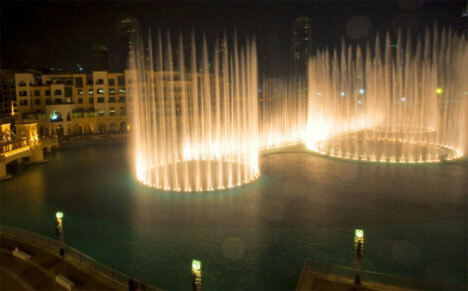 The Dubai fountain is one of the world’s tallest fountains, surpassing the Fountains of Bellagio at Las Vegas. 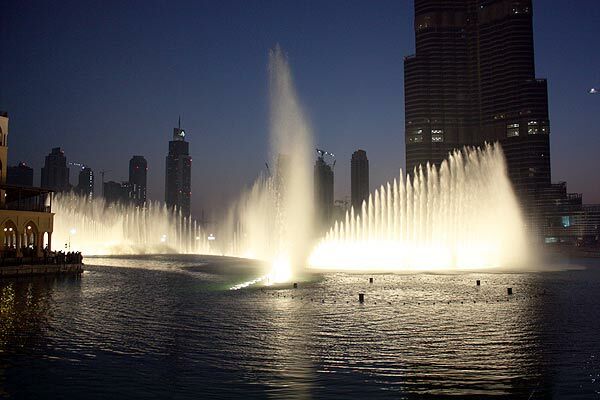 The Dubai fountains is 275 meters (902.275 ft) long, which is more than the length of two football fields. 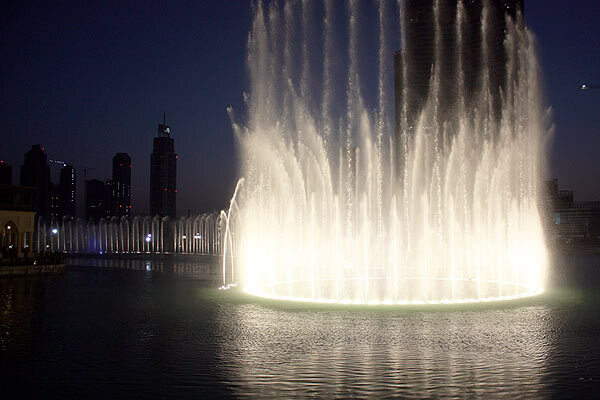 It is 25 % larger than the Fountains of Bellagio at Las Vegas. 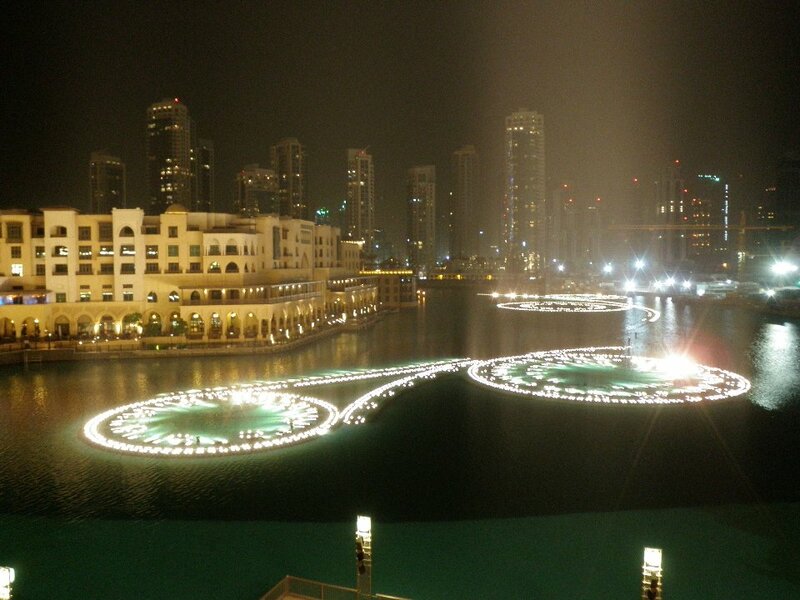 The Dubai fountains can be seen from over 200 miles away up in space or horizontally if you have a clear line of sight. 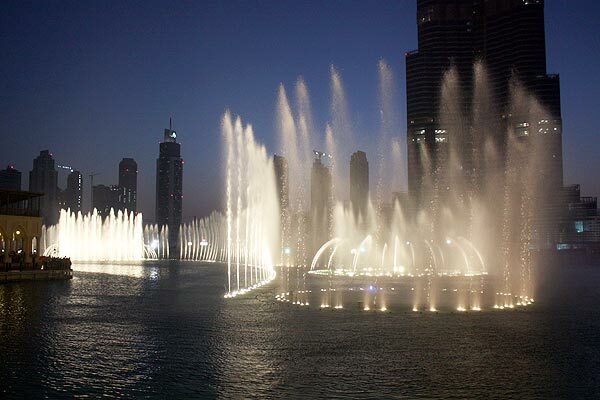 The fountains can shoot to the maximum height of 150 meters, which is equivalent to the 50-story building. 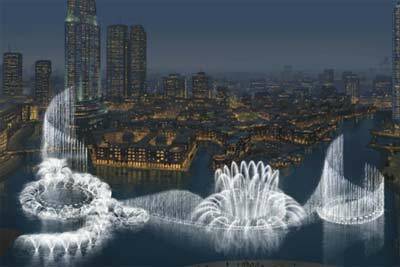 The Dubai fountain, designed by WET Design and developed by Emaar, can spray 22,000 gallons (83,000 liters) of water in the air at any moment. More than 6,600 lights and 25 colour projectors have been installed. 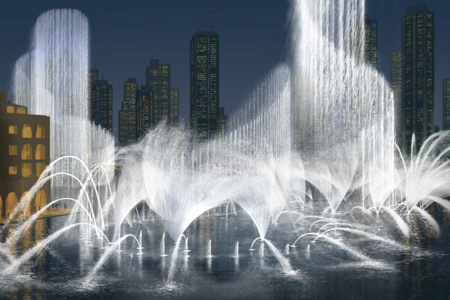 The Dubai fountains project water in the air in many different combinations and patterns.The beam of light shining upward from the fountain can be seen from over 20 miles away, and is visible from space making it the brightest spot in the Middle East, and possibly in the entire world. 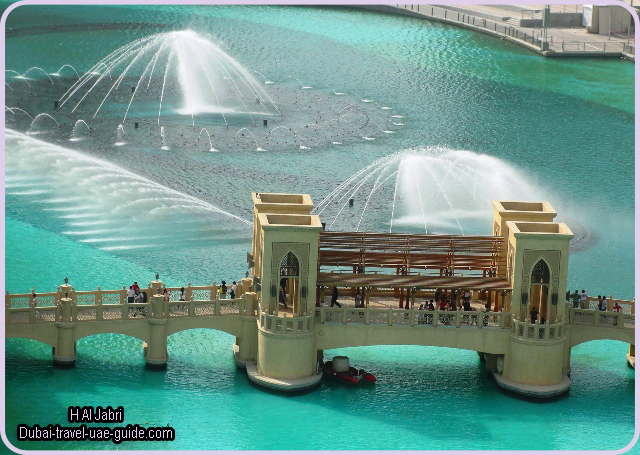 The fountain lake fills the gap between the Dubai Mall, The palace hotel, Souk Al Bahar and The Address Downtown Burj Dubai. 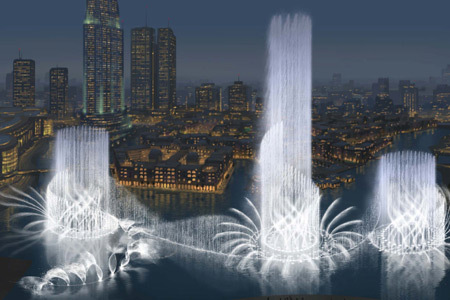 The fountain performance starts at 6pm with performances every half-hour until 8pm. 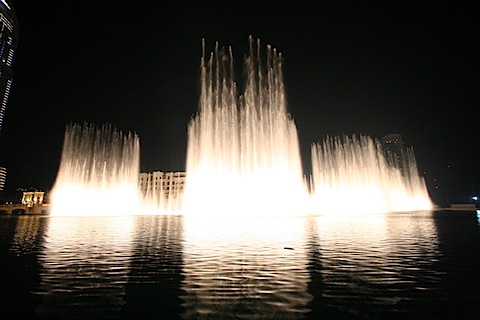 Between 8pm and 11pm, music-water displays occur every 20 minutes, there are 14 daily performances.